For what seemed like the first time in ages, wide receiver was not necessarily a priority for the Carolina Panthers entering 2019 free agency as draft picks over the past two seasons provided a nucleus of DJ Moore and Curtis Samuel, both elusive and electric after the catch; pair that with the veteran presence of Torrey Smith and Jarius Wright and it appeared that the top four was set heading into this month’s draft. 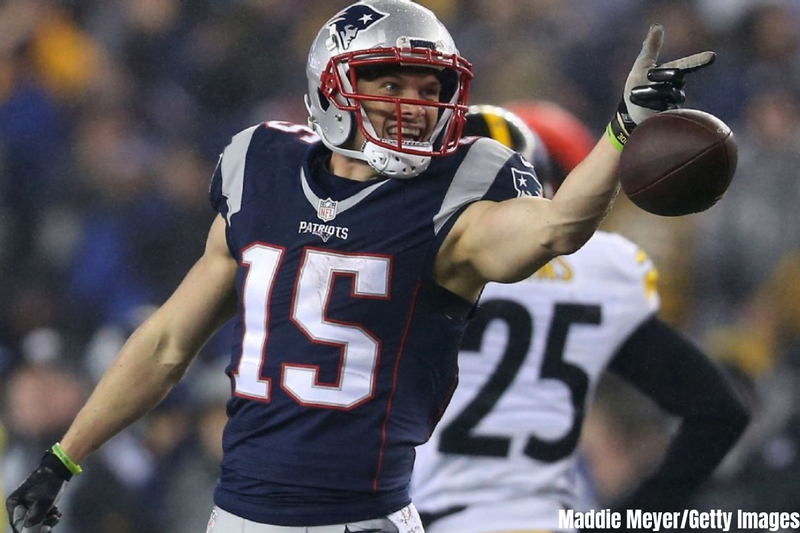 But just because the Panthers had strength didn’t mean that they didn’t have room for improvement – and that’s exactly what they did when they signed former New England Patriot wide receiver Chris Hogan to a one-year deal. The 30-year old wideout, who can play both in the slot and on the outside, spent the past three seasons catching passes from Tom Brady and has earned the nickname “7-11” because he was “always open” – the former undrafted free agent tallied 1,651 yards on 107 receptions while scoring 12 touchdowns in New England. Over the course of his first three seasons with the Buffalo Bills, the 6-1 Hogan played in every game, recording 87 receptions for 959 yards and six touchdowns after signing to the Bills’ practice squad near the end of the 2012 season. While in New England, you’re bound to get a lot of postseason experience, and that’s exactly the case with Hogan as he ranks second in the NFL with 542 postseason receiving yards and is tied for first with four receiving touchdowns since 2016 – he’s also picked up two Super Bowl rings along the way. Hogan excelled with five touchdowns in his first five games of the 2017 season and emerged as a red-zone threat for the Patriots that season. The question of whether he’ll play in the slot or on the outside hasn’t been answered, but in an offense like Norv Turner’s, the answer is likely a combination of both. He’s heard that his new quarterback is the ultimate competitor – he likely knows something about quarterbacks as competitors from his time in New England – but when I asked him if he expected a new nickname from quarterback, who seemingly has a fresh label for all of his teammates, he said he hoped to keep the “7-Eleven” moniker given to him by former teammate Reggie Bush.